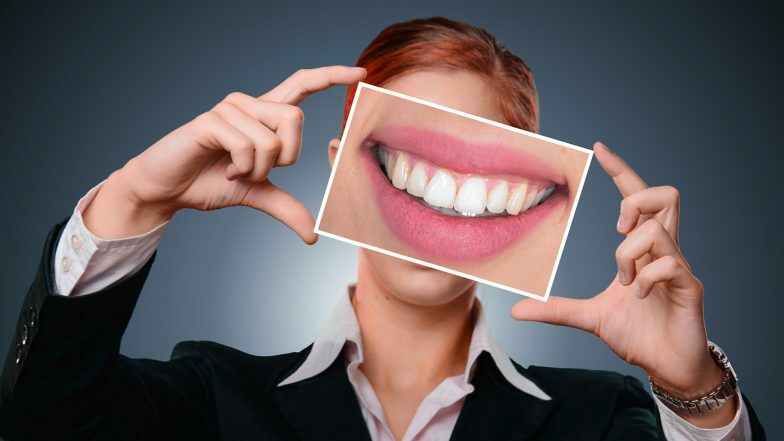 Washington D.C, April 15: While teeth-whitening products may guarantee a bright smile, according to recent findings these products are capable of harming protein-rich tooth layers. In three new studies, researchers found that hydrogen peroxide, the active ingredient in over-the-counter whitening strips, can damage the protein-rich dentin tissue found beneath the tooth's protective enamel. The tooth is made of three layers: the outer tooth enamel, an underlying dentin layer and connective tissue that binds the roots to the gum. Teeth Makeup or Tooth Polish is the Latest Viral Beauty Trend on Instagram That Will Make You Go – WHAT?. Most studies of whitening strips have focused on tooth enamel, which contains very little protein. Kennan's research team focuses on dentin, which makes up most of the tooth and has high levels of protein, most of which is collagen. It is well established that hydrogen peroxide can penetrate the enamel and dentin. Previous work by the researchers showed that collagen in the dentin layer decreased when teeth were treated with whitening strips. "We sought to further characterize what the hydrogen peroxide was doing to collagen. We used entire teeth for the studies and focused on the impact hydrogen peroxide has on the proteins," said Kelly Keenan, lead author of the study. As part of the study, the researchers demonstrated that the major protein in the dentin is converted to smaller fragments when treated with hydrogen peroxide. In additional experiments, they treated pure collagen with hydrogen peroxide and then analyzed the protein using a gel electrophoresis laboratory technique that allows the protein to be visualized. "Our results showed that treatment with hydrogen peroxide concentrations similar to those found in whitening strips is enough to make the original collagen protein disappear, which is presumably due to the formation of many smaller fragments," said Keenan.